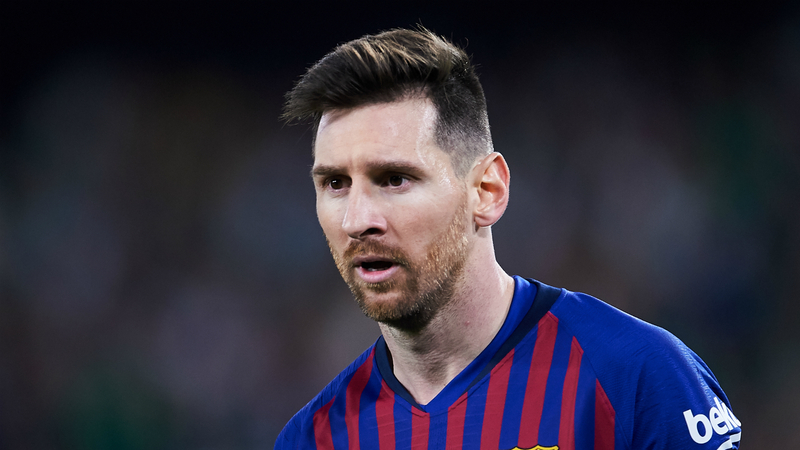 Lionel Messi has indicated he might find it difficult to spend the end of his career with childhood club Newell's Old Boys as previously planned. The Barcelona captain has long suggested he would like to return to Newell's, where he played as a child before switching to the LaLiga giants in his teens. But the 31-year-old indicated he may now opt not to return to Argentina before hanging up his boots. "I'm a Newell's fan, everybody knows that," Messi said in an interview with FM Club 947. "But it isn't easy to move to Argentina, I have kids, we will see." Messi returned to international duty with Argentina this month having not played for his country since the World Cup. Jorge Sampaoli was sacked in the wake of Argentina's poor campaign, which saw Messi have to inspire a victory over Nigeria to avoid a group stage exit. France knocked Argentina out in the last 16, going on to lift the trophy by beating Croatia in the final, and Messi is still rueing his team's performances. "I think it's one of the worst things that I've had to live in my career," Messi added. "Everything went wrong, from the first game to the last. It was not what we wanted. "If we had been eliminated in the first round, it would have been one of the biggest failures in the history of the Argentina national team. We talked and we moved forward to improve and pass to the round of 16." An emotional evening in Saint Petersburg. Despite being captain of his country, Messi opted not to speak to the media about his side's failure in Russia in the tournament's aftermath. "I thought about closing myself, making a deal with my family and isolating myself a little to reflect," he added. "The idea was to get away from everything and I think I did it. "My dream is the same as always, be a world champion. God knows how he does things and one day the time may come."